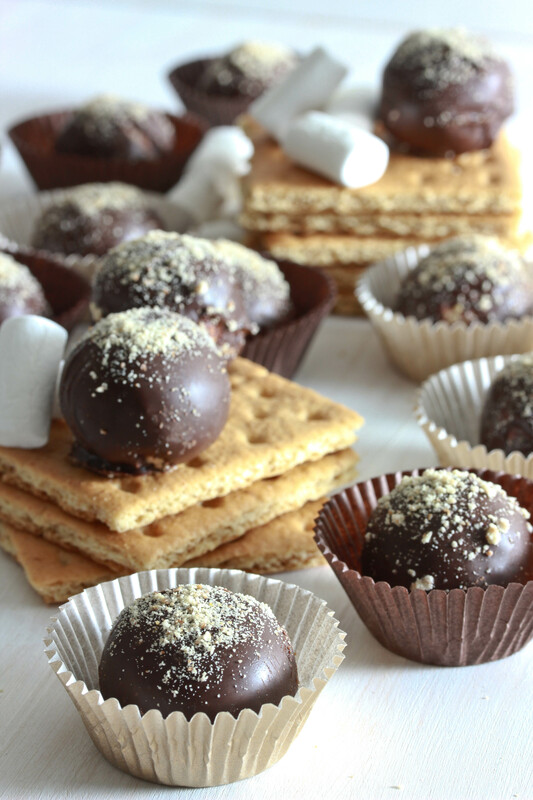 S’mores Truffles are a no-bake way to enjoy a classic treat! So tonight’s post was going to be onion rings. Those of you who follow me on Facebook know that I was seriously craving them this afternoon. Admittedly, I frequently crave onion rings. French fries are good, but onion rings? Totally blissful. But then I made a very mature decision. Instead of making onion rings, I went to the gym. I know, I know, I hardly recognize myself. Exercise over onion rings. I feel so virtuous about this I practically desserve ice cream. Moving along though. Obviously I don’t have onion rings to share with you tonight. Don’t worry, I didn’t give up on them. I will be making onion rings eventually. But for now, I decided to share a fabulous little treat I cooked up for my magazine column. 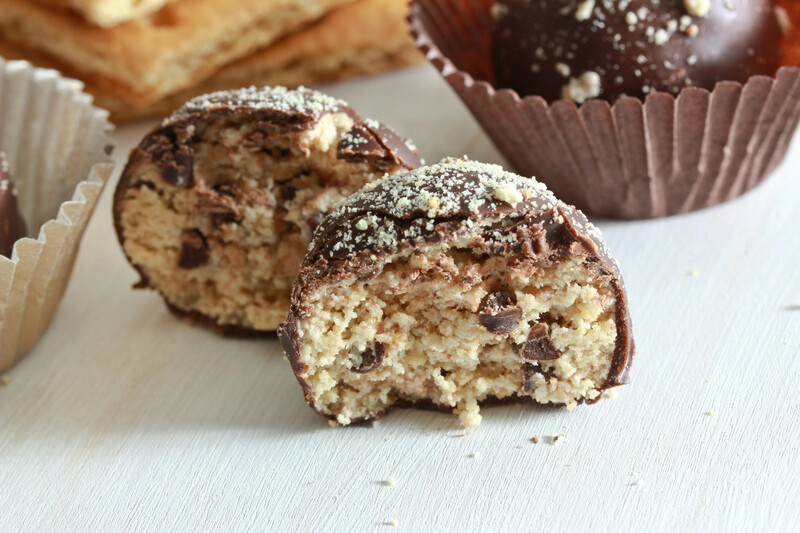 These s’mores truffles are no-bake, thus perfect for summer. They’re also really delicious, so that’s a big bonus. And then there’s the whole “super easy” thing – can’t complain about that. Plus, uh, s’mores. ‘Nuff said. These truffles have a really cool texture. They are a little bit crumbly, kinda sweet, little chunks of chocolate…it’s pretty unexpected but so awesome! Form the “dough” into small balls, about 2 teaspoons worth in each. (This is easiest when done with a small cookie scoop.) Refrigerate the balls until hardened, so they will be easier to dip. Melt the chocolate over a double boiler or in a heatproof bowl set over a pot of boiling water. Stir until smooth. Dip the balls into the chocolate to coat. Set on a piece of parchment paper to set. If desired, top with some extra graham cracker crumbs before the chocolate sets. Mmm. 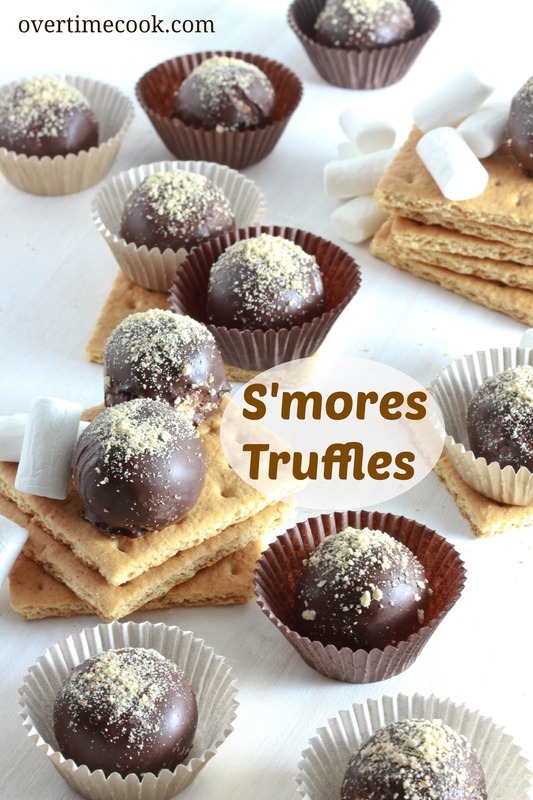 Smores Truffles? Yes please. Yum! These look delicious and so pretty. I’ve got a jar of marshmallow fluff in the cupboard that I haven’t know what to do with yet. This may be the recipe I’ve been looking for. I would chose these over onion rings any day! They look so good. Could eat these smores truffles any day! OH wow! These look amazing!!!!! These look so great! And all so uniform. How do you do it? Marshmallow Fluff comes in a jar. You might find it in your baking aisle or maybe the peanut butter and jelly aisle. I made them yesterday. They are delicious, but next time I think I will leave the graham cracker crumbs a little bigger so I could taste it more. It gets a little lost in the marshmallow when it is crushed too much. This is such an unique recipe for s’mores truffles. I love anything s’more so I know these are going to be made in my kitchen soon. mmmmm…. i’ll have to try these! the look so yummy! oh my! these look and sounds super delicious! Do you need to melt the marshmallow fluff and margarine first? I just came across your blog and I’m loving it! Thank you!!! Is there a way to substitute the margarine? Just wondering, can you substitute Rice Krispies for the graham cracker crumbs? Not sure, I’ve never tried it! made these for the holidays! they were a big hit! thanks!